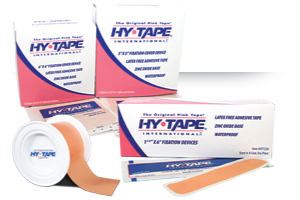 Hy-Tape Wound Care & Infection Control Video · Hy-Tape International, Inc.
Would you like to experience Hy-Tape? Fill out the form below or call 1-800-248-0101 and we will send you a sample pack and include information about our product lines. If you are a professional and would like information about how we can support your clinic or office, please let us know. Our goal is to help improve the lives of professionals and patients. Hy-Tape would love to hear from you. Check out our Social Media below, or click here for more contact information, or to fill out our online form! Once a month we email the latest industry news, updates, and information surrounding Hy-Tape and the professions and people we cater to. We promise never to abuse your email address and only send you pertinent information.